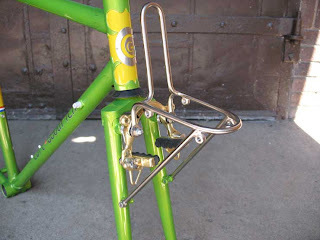 Here’s some photos of a recently completed front rack. 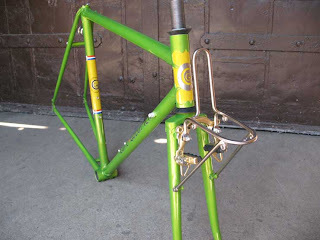 The frame and fork were done awhile ago but I was waiting for special mounting bolts to come in from Japan. 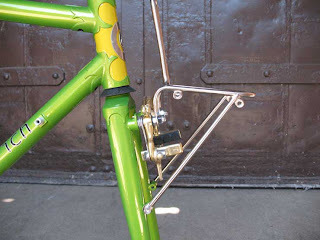 The bolts replace the ones that mount the brake to the pivots. Finally the bolts showed up but they didn’t work! Wrong thread pitch on one end. So I made my own. Not a big deal but bummed me out for waiting for these elusive good for nothing bolts. As I’m writing this I’m waiting for the customer to pick this up. I can’t wait to see it built up.